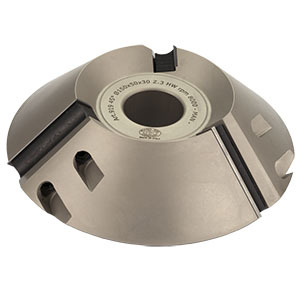 These Chamfer blocks are suitable for 45 degree chamfering in solid timber and man-made boards. The three knife feature ensures a better finish on abrasive materials with the advantage of the knives being replaceable. Suitable for hand or mechanical feed, the Chamfer Swop-Tip block is available to buy online at the website.